Yes. 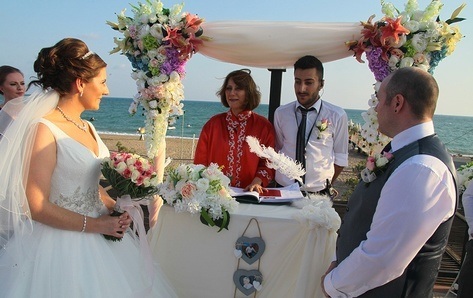 Every Turkish citizen can marry in Turkish Ambasies in every country. If there is not Turkish Abssay close by, they have to translate it to Turkish and bring the documents to the nearest civil registry office. Turkish people who want to marry in romantic cities such as Rome, Paris, New York, Bangkok should apply the requested procedures in the country that they choose to marry. 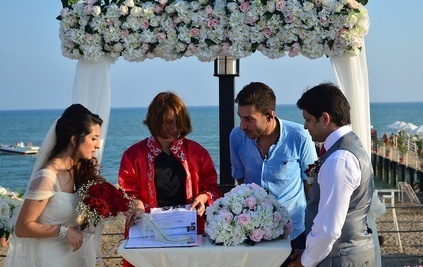 * The Affidavit of Marital Status (can be handed from registry office) The Affidavit for each will then have to be signed and witnessed in person by a notary public Turkey. The requested documents varies according to the country. Every country may request different document since the political procedures are not the same. The aforementioned documents can be taken from Turkish Ambasy. However, it takes about one month to receive the documents. Therefore, taking the documents from Turkey may shorten the process. After completing the document, you should apply to the Ambassy to book a marriage day. 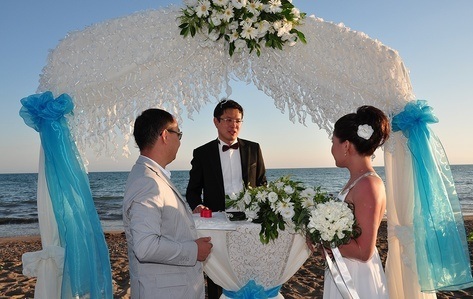 The demand for marriage in abroad is not high, so it is easy to book the day you request. However, you should check it though phone calls. You have to be Christian if you want to marry in a church what’s more, you also have to be Jewish, if you want to synagogue. You should have a baptism document to marry in a church. If you are not Christian or Jewish, your civil marriage will be held by “Wedding Registrar”. Another important point that you should check is that the international validity of the “Marriage Certificate”. For example, there are some marriage ceremonies in Las Vegas. These kinds of marriages do not have validity in other countries. International offices can ask for different documents. However, the documents we have mentioned are the common documents that every office ask for. Health report and photographs are not necessarily requested in abroad. The only important request is that the documents you have prepared have to translate into the official language of the country you are planning to marry. 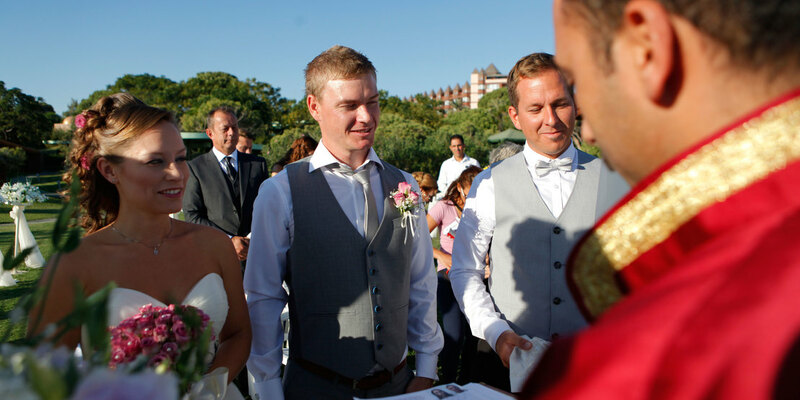 Unfortunately, the workload does not finish after your wedding ceremony. The Turkish government has to be informed about the marriage. Ambassy or yourself should inform the Turkish Government about your marriage within two months to make your marriage registered in Turkey as well. Otherwise, you will be fined. You should apply personally to Ambassy by yourself and request for a declaration of marriage. After filling out the document the document will be sent to necessary offices. Embassy informs the applicants when they have the answer from the Turkish offices. Only Turkish citizens have marriage at Embassy. There should be two witnesses of the bride and groom. The witnesses should prepare their documents as well. According to Turkish Law, man cannot be named as wife’s surname. Turkish women have to take her husband’s surname. However, if women want to keep her surname, she should inform registration offices by a letter. It can be done by personally, or by mail. There are some embassies which do not except applications done by mail. The declaration should be made to the nearest embassy. A signed document by one of the partners. Identity for both partners and one copy of each. Documents which show if there is an obligation of judicial restraint of marriage. This documents are asked from whom are previously divorced. Marriage should be held by the related country offices, if one of the partners has other nationality. After marriage, a copy of an original marriage certificate should be sent to embassy within a month. Marriage applications should be applied to an embassy which Turkish citizen is related with. If both of the applicants have other nationality, the application should be made to an embassy which men are related with. You can reach to documents Marriage Registration and Marriage Enrolment. A person who has foreign nationality can marry with a Turkish citizen only by a staff of Turkish Government MarriageOffice. However, people who have only foreign citizenship can also married by Turkish offices. Applications to offices will be accepted by Turkish Government marriage offices and they will be under the same obligations as Turkish citizens. They should bring The Affidavit of Marital Status to the Turkish offices. Applications of people who do not have appropriate documents of citizenship and passport can also be accepted by the staff of marriage offices. Therefore, their application process will move accordingly.